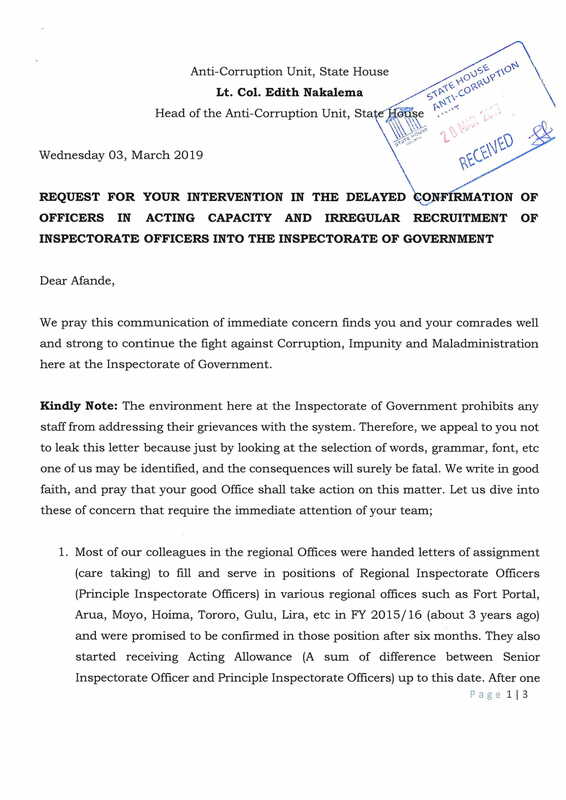 KAMPALA – Staff at the Inspectorate of Government (IG) have petitioned the State House Anti-Corruption Unit demanding an investigation into alleged corruption, illegal and irregular recruitments that they say have marred the agency. 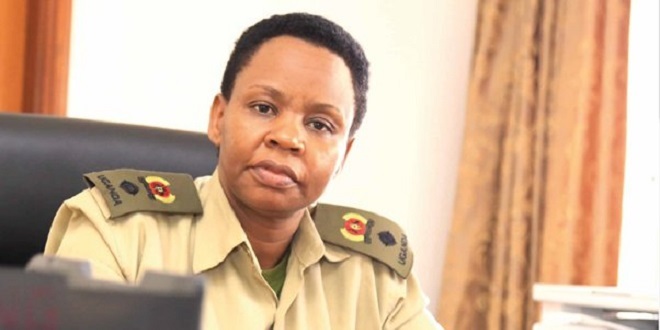 In a March 3, a letter addressed to the head of Anti-Corruption Unit in State House, Lt. Col. Edith Nakalema, staff members say they are concerned in the way the Inspectorate of Government is being run decrying the injustice, corruption, and incompetence of the management. 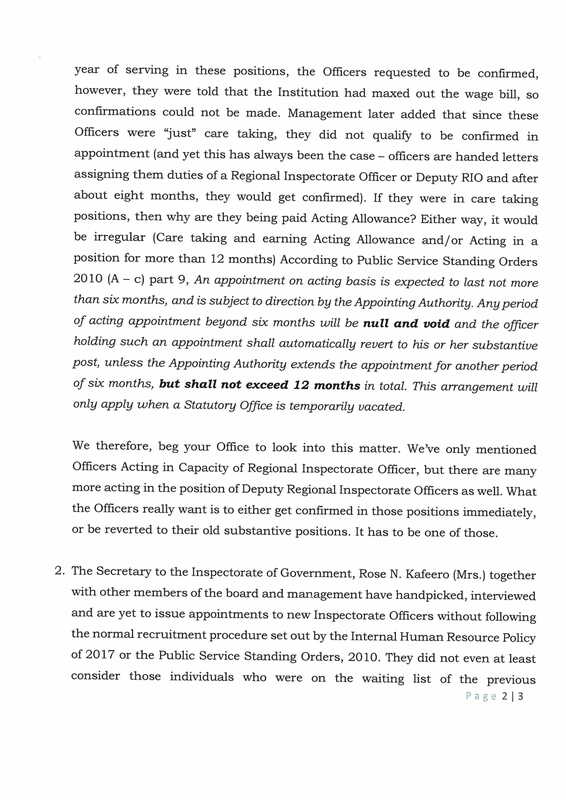 “The environment here at the Inspectorate of government prohibits any staff from addressing their grievances with the system,” the staff noted. 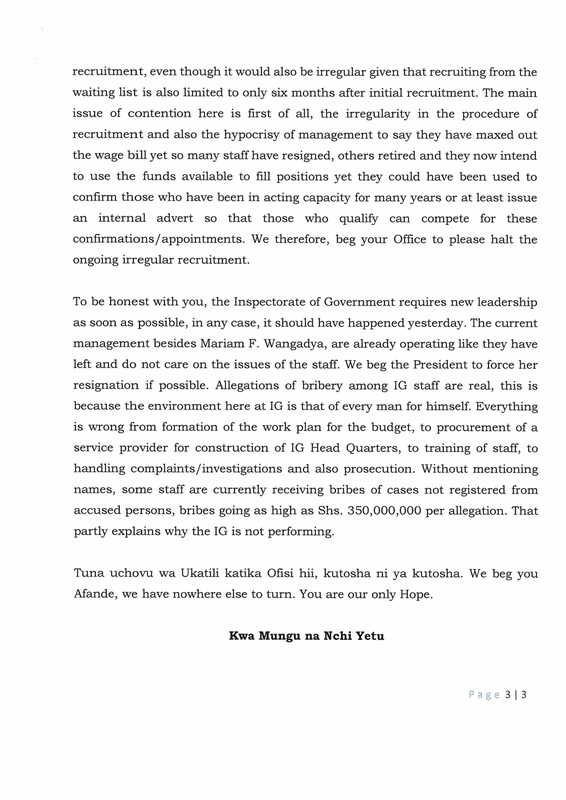 Without mention name, they noted that staff are currently receiving bribes of cases not registered from accused persons, bribery going as high as UGX. 350 million per allegations.